Are you worried that your writing is simply “not good enough”? I’ve worked with hundreds of authors who second-guessed their own abilities and sometimes let their own fears get the better of them. In this Master Class we’ll look at how to use self-doubt to energize instead of paralyze you. We’ll explore ways to make your worries work for you and overcome the fears that may be blocking your creative process. Learn the five steps for turning around your self-doubt so you can be the writer you want to be! 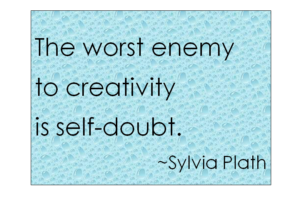 Face Self-Doubt Head-on: What is the critic in your head telling you? – Dr. Paula Bloom, co-author of Why Does He Do That? Why Does She Do That?